From March 26 to 28, LNG France will participate in the 36th edition of the SiTL Europe (Semaine Internationale du Transport et de la Logistique), one of the main European meeting places for transport and logistics, which this year will feature the presence of more than 500 companies. SiTL brings together all the innovative products and services dedicated to the transport of goods, the logistics industry and the supply chain. In the fair are represented various areas of experience in freight transport: modal transport (road, maritime, rail) and specialized (temperature controlled, hazardous materials, urban…), information systems / RFID (software TMS and WMS), supply chain management, infrastructure, real estate, transport equipment (fuels, embedded systems, tires), robotics and intralogistics. The annual SiTL Europe fair in Paris has achieved an important recognition throughout its 25 years of existence, becoming an active generator of information, a precursor of trends and an essential unifier of the personalities of the world of transport and logistics. 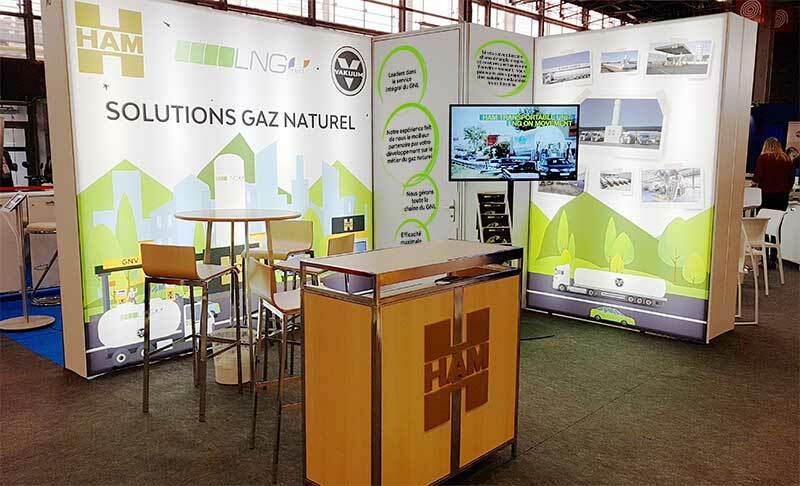 LNG France is once again present at SiTL, at Porte de Versailles – Hall 1, Stand M5; to offer all attendees integral “turnkey” solutions, together with the structure and experience of HAM Group, which is currently considered the European leader in the design, construction, transportation and maintenance of CNG (natural gas) installations compressed) and LNG (liquefied natural gas). During the event, Vià Grand Paris TV interviewed Jaume Suriol, Technical Director of HAM Group, who has asked, among other topics, about the advantages of LNG, as an ecological fuel and cheaper. The experience of LNG France in the French market, with the management of the entire liquefied natural gas chain, allows its customers to ensure maximum efficiency and simplicity in the totality of the processes for optimizing their energy needs. Currently, the leading French companies in the energy sector choose HAM Group as a partner to help them develop in the natural gas market. With almost 40 years of experience in the sector, HAM is a benchmark in the sector that is committed to the use of CNG and LNG as a real alternative to other fuels such as diesel and gasoline, with the aim of reducing the negative impact on the environment, thanks to a clean and sustainable fuel, which does not affect the quality of the air and which allows savings between 30-50% compared to fossil fuels.